A couple new happy hours for your booze radar: ~TOWN HALL~ has launched their Smoke N’ Barrel Happy Hour every Mon-Fri 4pm-6pm. There will be drink specials for $5, $3 Trumer Pils, a couple $5 wine selections, and food under $10, like a duo of house-smoked Reuben sliders ($5), Travis’ spicy chicken wings ($5), and their delicious cornmeal-fried oysters ($5). There’s also a Town Hall burger for $15 (only available until 5pm). Meanwhile, ~FIFTH FLOOR~ has launched its evening Cocktail Party. Every night from 5pm-7pm, the bar will be featuring three specialty cocktails for $5 and will be passing out complimentary appetizers, like cheese gougères, beef tartare on crostini, and chèvre and mushroom tarts. Chef David Bazirgan has also launched an Homage to New England menu at the bar, which includes a Maine lobster roll ($25) on Firebrand brioche with celery and Old Bay chips, Rhode Island clam cakes ($12) with tartar sauce, New England clam chowder ($8/$12) with housemade oyster crackers, and succotash ($12) with housemade chorizo, corn, favas, and Padrón peppers. Available in the lounge Mon-Sat. Meanwhile, oyster lovers will want to take note of a new weekend happy hour for those seated at Pierre’s Oyster Bar in the ~GRAND CAFÉ~: you can get $1 oysters, $2 baked clams, and $5 sparkling wine Fri-Sat 5pm-7pm; and Fri-Sat all night long you can get a half-dozen oysters with your choice of a beer or sparkling wine for $10, and oysters for $2 each. You Wanna Make Some Shrubs? Shrubs; photo from Urban Kitchen SF. No, I’m not talking bonsai. ~URBAN KITCHEN SF~ is hosting a berry shrubs class this Thursday June 23rd in the CUESA Dacor Teaching Kitchen. 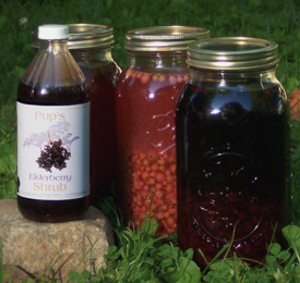 Your guides will be Jennifer Colliau of Small Hand Foods and Aaron Gregory Smith of 15 Romolo, who will teach you how to make vinegar-based shrubs using seasonal berries during this hands-on class. 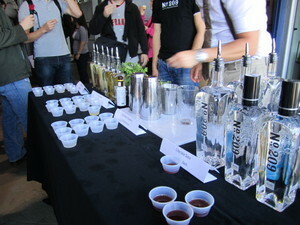 Participants will taste already-made shrubs, make two shrubs of your very own, and learn how to use them in cocktails. You will each take home two quart jars of your own shrub made with fresh seasonal fruit (apricots, strawberries, blueberries, raspberries) and herbs from the Ferry Plaza Farmers Market, and take home a booklet of recipes and tips. $60 (sliding scale pricing, based on need, is available); tickets here. 5:30pm-7:30pm. It’s a good time for wine and food enthusiasts with upcoming winemaker dinners at Flour + Water and Spruce, and a tasting at Press Club—try to make your way to one, or more (you wino, you). ~FLOUR + WATER~’s winemaker dinner series has guest winemakers in the Dough Room presenting wines they love paired with five-course tasting menus, which chef Thomas McNaughton will prepare table-side. This Friday June 24th is Ames Morison of Medlock Ames, followed by Anthony Filiberti and Webster Marques of Anthill Farms on July 8th, Eric Sussman and Davida Ebner of Radio-Coteau on July 22nd, and on July 29th, Cecilia Piccin of Grifalco Winery in Basilicata, Ciro Biondi of Vini Biondi in Sicily’s Mount Etna, and Oliver McCrum of Oliver McCrum Wines will present wines from southern Italy’s volcanic terroir (yeah, guess which one I’m excited about the most). 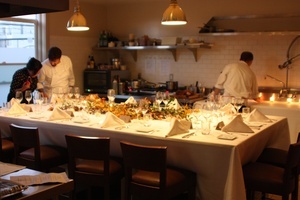 Each event in the series will have two seatings, 6pm and 9:15pm, with 12 seats available at the chef’s table. $200 per person, inclusive of wine pairings, tax, and gratuity. Tickets online. ~SPRUCE~ is hosting Blackbird Vineyards, an artisanal producer of Pomerol-inspired wines in Napa Valley, for a winemaker dinner on Monday July 11th at 6:30pm. Chef Mark Sullivan’s menu includes licorice-spiced squab with tagliarini, black currants, and pine nuts; prime New York steak with shelling bean cassoulet and red wine jus; hors d’oeuvres, and artisan cheeses, with each course paired with Blackbird rosé or cabernet blends. $140 per person, exclusive of tax and gratuity. 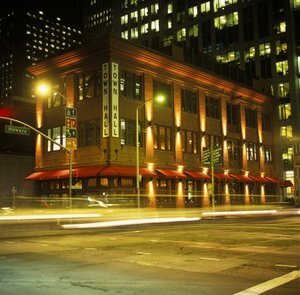 Reservations at 415-931-5100. Oh, and a side note: ~PRESS CLUB~ will be hosting Gundlach Bundschu Estate Winery of Sonoma for their Visiting Vintner Series this Thursday (June 23rd) and next (June 30th) from 6pm-8pm. On June 23rd marketing director Susan Sueiro will lead tastings by the sip, in flights, and by the glass. On June 30th owner and winemaker Ray Coursen and national sales manager Kathy Byrd will lead the tastings. These wines are otherwise only available to taste and buy at the winery. 20 Yerba Buena Ln. between Market and Mission Sts., 415-744-5000.